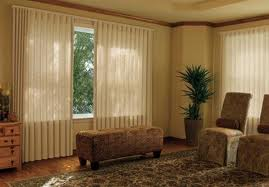 This has been a very popular window treatment that we’ve been selling. On Saturday I have an appointment with our client’s who recently moved into an amazing custom home we built for them. My appointment is to design custom cornices for their windows. We already covered the windows in Luminettes and Silhouettes but now we want to add some pizzazz! The colors in the home are shades of gray, red and black with accents of copper. I have selected fabrics for each room that will enhance the overall look. We’ll also be creating custom bedding for the master bedroom. We’ll be creating a jacket type of coverlet, it will fit snug over the mattress. This style will look best on the low profile bed crafted from exotic wood. 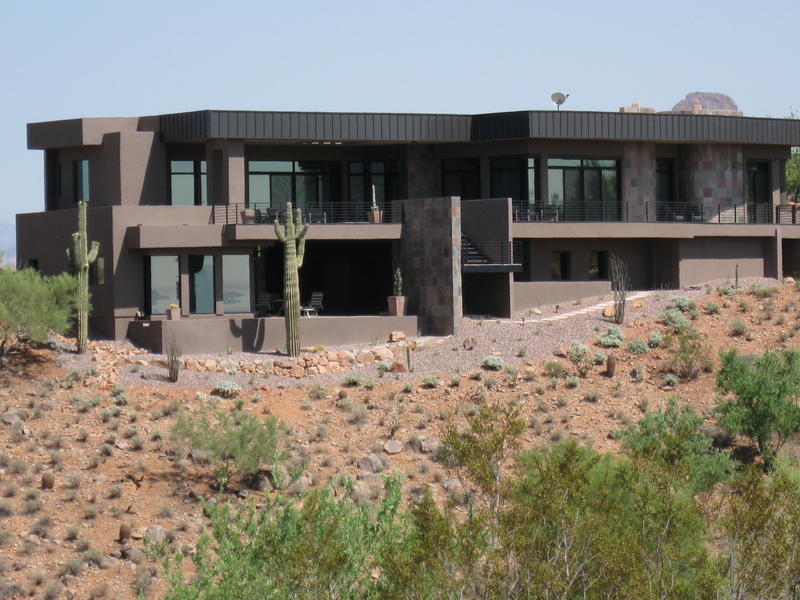 It’s a contemporary style home with walls of glass to take advantage of the magnificent mountain views and golf course. I enjoy designing the window treatments and other accessories…it’s jewelry for the home. I’ll post pictures once it’s all done. Below is a picture of the rear exterior of the home. When visiting the site be sure to sign up for our FREE monthly eZine “Bespoke Home” and receive tips, guidance and tools on designing and building your custom dream home. Let the dream begin.